Many people know that we can conveniently recover iPhone data from iTunes backup with a few simple clicks when connecting iPhone to computer. But few people know where the backup files stored on your hard drive and how to browse data in the iTunes backup on PC. Where to Find iPhone Backup File? 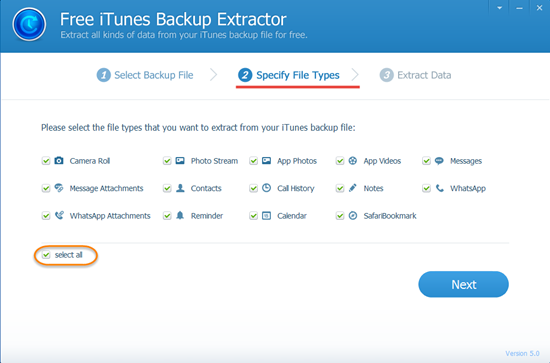 Commonly, you can browse iPhone backup via iTunes. Run iTunes, navigate to Edit > Preference > Device. Here, you can browse your iPhone backups and view the time and data of backup. Also, you can select the backup and click “Delete Backup” to erase it from your computer. 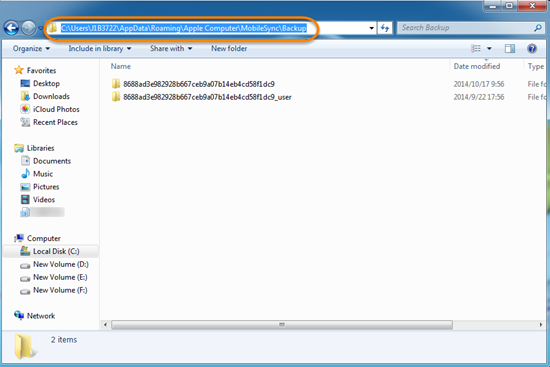 Besides, you can also browse iPhone backups by using Windows Explorer. On your PC, go to: \Users\(username)\AppData\Roaming\Apple Computer\MobileSync\Backup\. Here is the file folder where your iPhone backup files saved. 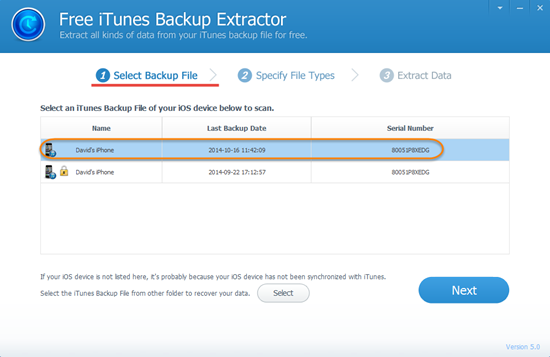 How to Browse and Extract Data from iPhone Backup? You may notice that it is quite easy to find your iPhone backup files. However, you can’t browse the data in the backup file directly. Don’t get disappointed. Here we recommend Free iPhone Backup Browser to help you browse and extract data from iPhone backup. 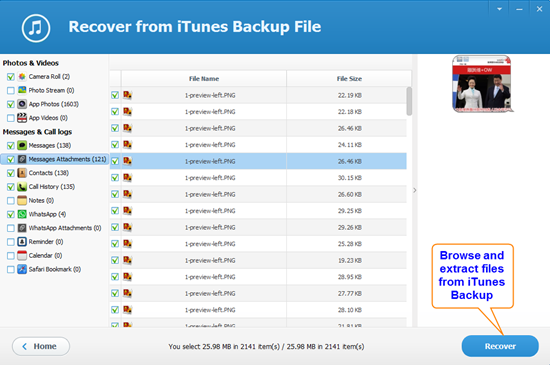 1.Free iTunes Backup Browser lets you browse and extract data from iPhone/iPad/iPod backup created by iTunes. 2.No need to connect your iPhone to computer. You can browse and extract iPhone backup data even your iPhone is damaged or lost. 3.You are allowed to preview all scanned files like photos, videos, messages, contacts, call history, notes, WhatsApp, and more before recovery. 4.You can not only browse files from unlocked iTunes backup, but also the encrypted ones. Step 1: Download Free iPhone Backup Browser and install it. Run the application, select the backup file and click “Next” to continue. Step 2: Specify file types that you need to browse from iPhone backup. Then tap “Next” to begin scanning data in the backup. Step 3: Once the scan finished, you can browse all files from iTunes backup in detail. Finally click “Recover” to save the data on your computer. Tips: You’d better not sync your iPhone with iTunes if you want to browse data in the existing backup. Otherwise, the backup file will be updated and overwritten by new content on your iPhone.